F&W Chef-in-Residence Grant Achatz thinks high-quality miso is up-and-coming. Here's how to cook with it. F&W Chef-in-Residence Grant Achatz thinks high-quality miso is up-and-coming. “The American public mostly thinks of miso as the generic supermarket stuff that’s basically just salt,” he says. “But there are varieties of miso out there that have so many layers of flavor and characteristics that aren’t commonly found.” Here, nine delicious ways to use three types of miso: red, yellow and white. The most mild, least salty miso, white miso is perfect for light and fresh dishes. 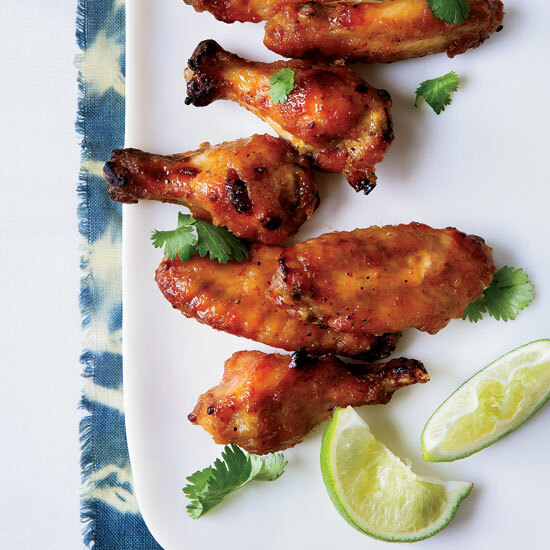 You’ll never go back to Buffalo wings after trying these crispy Asian-inspired, miso-coated wings. This sweet and silky fish is marinated overnight in sake and miso. It doesn’t get much simpler than this spread—just coat cream cheese in white miso and wait. Fermented slightly longer than white miso, yellow miso is salty but mild. It’s great on seafood or in soups. Toss shrimp with a miso marinade before grilling for incredible flavor. This miso vinaigrette is perfect with rich lobster but it would be just as good on a simple green salad. A dairy-free alternative to creamy dips, this delicious spread calls for pureeing sweet peas with scallions, ginger, jalapeño and yellow miso. Achatz loves red miso for its depth of flavor. Dark and pungent, it's great for hearty, rich dishes. Alternatively tangy and salty-sweet, these skewers are also delicious when made with chicken breast or pork tenderloin. Red miso adds a deep, savory flavor to these buttery carrots. This salty-sweet buttercream is incredible on chocolate-chip cookies.